I received my bachelor's degree in music with an emphasis on vocal performance at the University of Redlands in 2011 (which I attended on a music talent scholarship), and am now an active performer in Los Angeles, CA. I have been tutoring and teaching private lessons for almost 10 years, and currently have over 40 active students. One of my wonderful voice students gave me this teacher travel mug for Teacher Apprecition Day! One of my students singing Ave Maria at our recital. Two voice students backstage, eager to perform for our recital! Our son loves Jessie! For the first time, I hear him laughing and enjoying math. His confidence has grown so much this year, and trust me, that's a very big deal! She is patient, funny, and has transformed his attitude toward math in a very short period of time. Can't say enough good things about her! She was awesome at teaching me! I loved this! My daughter had a great first online lesson with Jessie. It was well structured and she is looking forward to the next lesson. Even got some homework on what to practice. Jessie is very professional in how she conducts the lesson inclusive using the online tool available. she was funny, she was understanding and very nice! she is a great teacher and is not so serious. My daughter really enjoyed her session with Jessie! She is kind and really helpful. She explains things well. Jessie is a great math tutor and she made math fun. Going to enjoy working with her this school year! Jessie is highly competent and remarkably effective in Geometry and Algebra! She is super helpful and helped both of my daughters understand and grasp very difficult and challenging math problems when they were under a time deadline. Thanks again, Jessie! I have been working with Jessie for almost a year now and she has helped me a ton. Since the first day I met her I have felt comfortable and accepted. Her positive attitude and teaching style has definitely helped me improve my singing. I would recommend her to beginners and even those who have already been singing. Jessie is awesome, we have been with her 3-4 years. She is patient, fun and understanding. Works great with kids, let’s them choose the songs they want to sing and works with them through it. Very nice, caring, and instructive. She knows her stuff! We had never tried any type of tutoring prior to finding Jessie. She exceeded our expectations by far! After just 4 one hour lessons online with Jessie, my daughter’s Geometry grade has gone from an F to a C! I am extremely confident that my daughter will pass this class and the final exam. Thank you Jessica, for your knowledge and patience. I will recommend her to anyone I know that is looking for an amazing tutor! She is a wonderful teacher!! Jessie is an awesome instructor! I've never taken lesson before, and she's very patient with me. I'm glad she's my teacher. Miss Jessie is a nice teacher, she is kind and patient with me. I like her warm up songs and love her prizes at the end of my lessons. She’s is very friendly, def very good with kids. She made my daughter feel so comfortable. Thank you and she can’t wait for the next class. Jessie helped me make sense of Algebra. She is friendly and patient. Jessie is a great teacher that makes piano really fun. She is very encouraging and makes me feel really comfortable. Jessie Massoudi is a GREAT singing teacher for my granddaughter, Vera. Vera, now age 10, has been taking lessons with Jessie for about a year now. Jessie has a way of working with her that is very sensitive and effective. Vera's confidence and voice have both improved a lot because of Jessie. I strongly recommend her as a teacher for children of this age, and people of any age too. Jessie is a very competent multi-talented voice instructor. I've learned more from her in a few months than I have from others in several years. She is great with all age groups, and would highly recommend her for everything from opera to pop. Jessie is an amazing vocal teacher. Her vocal knowledge is beyond her years. I would highly recommend her. Whether you're young or older (like me), experienced or not. Whether you like opera or pop, she is great! Jessie is a delight and a very patient teacher. I am older and need things explained sometimes more than once. She was patient and kind. I look forward to continuing my lessons with her. She was really nice and had a lesson customized for me. She listens and has a wealth of knowledge to motivate peeps like me that are on the fence. Kendal was very happy with Jessie.... I think it will be a great fit! Kendal was. Try happy with Jessie.... I think it will be a great fit! Seems to be able to keep the focus of my 8 year old so far during her first lesson. Also seems able to help her understand what was taught so far. Solange really enjoyed her lesson, she's looking forward to next week. Ethan (my 6 year old son) had an excellent first lesson. Jessie definitely had the right approach and it looks like she and Ethan will work well together as teacher/student. I look forward too seeing the results over the coming months. Jessie..is very sweet and wonderful with children. I would highly recommend her! She is very nice. 1st lesson went well. Jessie is great! 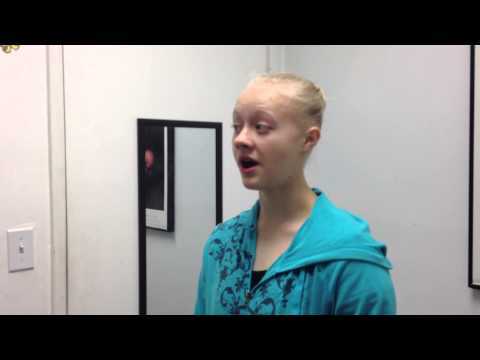 This is my first time taking vocal lessons and wasn't sure what to expect. I'm enjoying the experience so far. She makes me feel comfortable and learning a lot from warm ups we practice. Her knowledge with singing and music is inspiring and she's informative, down to earth, and has a great personality. I know I will reach my goals and can see myself develop a nice voice that will sound great with my lessons with Jessie. She is the kind of instructor I was looking for and look forward to the results. Jessie was very easy to work with. I learned a lot and it was an enjoyable experience. My daughter in 3rd grade really enjoyed this lesson! Jessie was very nice and kind and Kira even had the opportunity to sign in the first session. These lessons are super convenient for parents that are tired of traveling in the car to non-stop places during the day. Would definitely recommend Ms. Jessie. Very pleasant, and knowledgeable teacher. Jessie is a great teacher. My daughter really enjoyed working with Jessie M. I noticed a huge difference in her presentation for acting and facial for dance, after just ONE lesson. We are excited to see what happens next! many importat pointers on how to get started with my acting career! definitely recommend!! Jessie is amazing, sweet, thorough, and patient. I hope to work with her long term. I can already see improvement in my singing after 3 sessions. Jessie is an amazing teacher and I am so happy I found her! She has helped me improve my vocal range and my confidence in singing! With her help, I have perfected my preparations for auditions and succeeded in them! I highly recommend her for her teaching abilities and lovely personality! Jessie is a very pleasant person. She teaches with a great ease and makes learning so much easier. I highly recommend her! Jessie is an excellent vocal teacher! She is very sweet and patient and is able to identify what needs to be corrected and clearly communicates how to overcome the issue at hand. It is amazing how she transformed my voice! She is also very flexible when it comes to rescheduling an appointment. I am very glad to have found her! I find Jessie very Happy, Friendly, Sincere , Knowledgeable, Thorough and Funny. I would refer Jessie to anyone at anytime. You'd be Glad to meet her. Jessie has assisted me with voice training and improvement. She has tirelessly and cheerfully helped me to learn the music so I can participate in the community chorus. I would recommend her to anyone looking for musical training. Jessie was great! My son learned a lot and we will definitely use her again. Jessie is very pleasant and my daughter enjoyed her first class and looks forward to the next one! It is amazing how much I can learn in just 30 minutes. Jessie is an awesome instructor! I love learning from her! Jessie was so great! 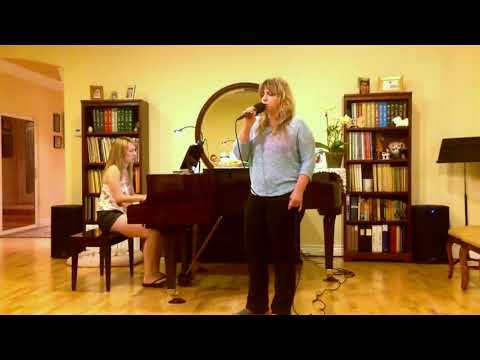 I took private vocal lessons with her for two years and learned so much! She really started me off on a great path of developing my voice, and helped me with all of my college auditions. Even after I had lessons with her and moved on to college she was still a great resource and a wonderful connection. Jessie was very patient, willing, and helpful in whatever I needed! Highly recommended! Jessie is really great. She's patient, positive, and really good with teens! We only just started with her but we're off to a great start! Jessie is awesome! As nervous as I was for my first lesson, she instantly put me at ease, put me through the paces of warm-up exercises, and I can't wait until next week! Very patient, very knowledgeable about what to expect with changing male voice. We're coming back for more! Great First lesson!! Feeling good about the upcoming sessions..
Had our first lesson today and she was very knowledgeable and worked very well with my daughter. We saw improvement in her singing after the first lesson. Great experience so far! Jessie has been a colleague for a while & I've seen her teaching in person. She is very patient & makes the sessions fun & playful especially with kids. Jessica scored no better on her k12 assessment than if she'd taken it without the tutor. My son is 6 years old and he is very happy taking piano lessons with Jesse. She is so nice, friendly and patient. My son started with Jesse about 3 weeks ago and so far so good! I recommend Jesse because she is very encouraging and supportive to my son. I am so glad I switched piano teachers because Jesse has all the qualities I was looking for in a piano instructor. My son is learning more each week and he is having fun taking lessons with Jesse! Jessie is absolutely wonderful! She makes the lessons enjoyable and explains things so someone like me, an unseasoned vocalist, can understand with ease. I highly recommend Jessie to anyone looking to take vocal lessons! Always eager to help. Very easy to understand. Truly a great learning experience! She is an excellent tutor. We were very happy with the lessons. She's been great so far and has gone out of her way to make sure the lessons happen! My 7 year old daughter is having a great time with improv classes with Jessie. We've attended 5 classes so far and Jessie is always professional, always prepared with a fun plan of games and exercises. We highly recommend her! After, attending 3 tutoring classes Jessie has assisted me in giving me the ability to understand the assignment's concept in mathematics. While going to tutoring I have been able to understand the given mathematic formula's, steps, and solve mathematic problems, and since attending tutoring I have been able to complete every given mathematic assignment. Jessie Is very hard working and dedicated. She's easygoing and never gets frustrated. She is also easy to get along and work with. I've taken lessons along side her and performed with her, and no matter the situation she is professional and a valuable asset. Full of experience and knowledge! Jessie provides a vast array of knowledge to her everyday teachings. During a session with her, I learned more about my voice than I ever have without her. She is a great instructor and I look forward to learning even more about my voice! Jessie has been a friend and colleague for many years now. I have seen her work with individual students and classes. The energy and patience she brings with her is beyond compare! You will always have a positive, new experience to take away from her lessons. In January, I decided to take a last minute opportunity to apply for a job at Disney World over the summer. After doing some research regarding the audition process, I found out that there was a brief improv portion involved in the audition. About two and a half to three weeks before the audition, I found Jessie and booked four lessons. What I received from my lessons was more than I could have ever hoped for. Jessie is an amazing teacher. She is very knowledgable, gives incredibly feedback and advice, and in addition to what an awesome teacher she is, she also is INCREDIBLY flexible and willing to work with your schedule. A wonderful teacher to have! It has been wonderful taking lessons with Jessie! She helps you learn in a way that caters to your personal preferences as well as targets problems and fixes them in a personal way. Not only is she a great teacher, but she is also always extremely patient and cooperative with my schedule and extremely professional at all times. I am looking forward to continuing lessons with Jessie! Jessie gave me some valuable tools and techniques that have greatly helped to improve my singing. I strongly recommend Jessie to anyone interested in a great voice instructor. Jessie is an incredible person to work with. I went in looking to work on my range and songs for musical theatre and came out with a better understanding of technique and intonation. She is always patient and understanding of her students and is always willing to help them any way she can. She helped me pick songs for my auditions and also informed me about other auditions in the area. I also learned basic piano from her awesome piano worksheet tutorials! Jessie not only is a great instructor, but a great performer as well . Although her voice is beautiful, she doesn't make me feel inadequate or intimidated. Her lessons are always fun to me because of her sense of humour and kindness. Overall, I've had a great experience with Jessie and can't wait to see her again! Jessie, tutors my 14 y/o daughter in algebra for more than a year now. She is professional, punctual, very positive and makes algebra fun (if that's possible). She reinforces what Grace has done well and reviews how she can do better. I highly recommend Jessie! I have had the privilege of taking lessons with Jessie for over a year now. I have to say it has been a wonderful experience. Jessie is always attentive to what my strengths and weaknesses are and is always willing to help in any area necessary. She is always helpful, supportive, willing, and most of all caring. Jessie has a genuine love for teaching that rubs off on a student. I'm very grateful to be a student of Jessie's. thank you Jessie!!! She is a wonderful teacher! Jessie is an amazing singing teacher. She is very helpful, has good singing tips, and practicing methods. My singing has improved a lot since being her student! Jessie shows great skill and knowledge in her field. She takes great pride in fulfilling her job responsibilities. She delivers a very comfortable learning atmosphere, and she makes it very easy to learn. She is always; fun, friendly, respectful, positive and encouraging. She has great patience and understanding, it's been a privilege to learn from her and build my craft. Jessie is very professional and friendly. She seems to have great knowledge of her field and provides invaluable instruction. Highly recommended. She is a great voice teacher. My daughter loves Jessie. Her voice has improved since she started taking lessons with her. I like the way she gives her a written note at the end of each lesson with reminders on technique or something my daughter needs to practice before her next lesson. She has also helped teach my daughter how to care for her voice and prepare for events. I highly recommend her!